The third motor-sailer from Maha Mysore, the 11.2 Mt long NJORD was shipped from New Mangalore Port on board the M.V. Sheringham on the 7th of November 97 for export to her owner in Italy. Compact and solidly built, NJORD is fully equipped to take 5 to 6 persons on long voyages in total comfort. Earlier, in May 97 Maha Mysore had exported a 14.2 mt long motor-sailer (TIGARA) with a specially reinforced hull for taking her owner on his professional photographic expeditions to the icy waters of the Baffin Straits, close to the Polar Circle. 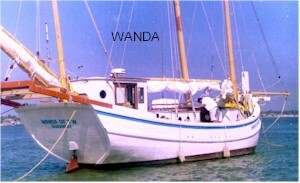 In the meanwhile, 14.2 mt long WANDA, the first motor-sailer built by Maha Mysore and exported last year, has cruised extensively in the seas off Europe, crossed the Atlantic to reach the Caribbean Islands in 28 days, sailed north to Charleston in the United States, east to the Bermuda Islands and back across the Atlantic to France in time for the La Rochelle Boat Show in September this year. Reports her owner "The return trip to France has been memorable - 4 days from Charleston to Bermuda. From Bermuda to Azores Islands we made better speed than a first 45 doing the same run. From Azores to La Rochelle Wanda experienced the first very severe storm - Force 9 for six days with gusts of wind over 60 knots and very big seas. At Finisterre (where the water shallows) conditions were very sporty indeed. The boat got water halfway up the central cabin and we often surfed at more than 14 knots. The Atlantic was crossed in less than 20 days! 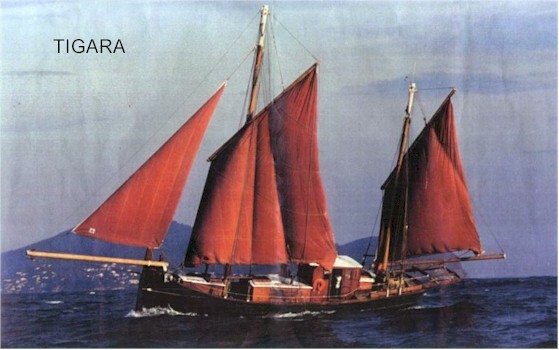 The boat behaved well throughout - completely vindicating our faith in her structural qualities and sea-keeping abilities." Fittingly, Wanda won the Grand Pavois award and cash prize at La Rochelle, an event witnessed and applauded by an audience of 60,000 and televised by French TV. The Museum of the Sea gave her free berthing and accorded the honour of mooring her beside Josua - a historically famous French boat. And now, with NJORD, Maha Mysore hopes to continue earning goodwill and respect for the words Made in India. Owners/designers are welcome to discuss custom-building of your design by us. 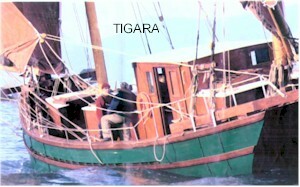 Boats can be supplied bare shell or complete.